Our generation loves technology and social media. We thrive on new apps and a faster way to connect with others on the internet. Our generation loves Apple and the way they reinvent their products, making us want more. Has Apple really influenced our culture for the younger generation? 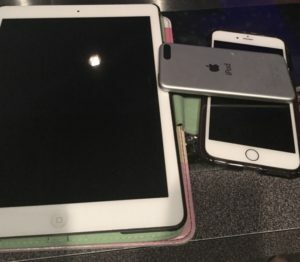 The iPhone, iPad and iPod are the electronics that everyone wants, and with cool updates like Apple Music and iCloud it makes Apple seem like the best thing on earth. Is it uncool to not have an Apple device? Apple has been one of the few companies that have been consistent with putting something new out every couple months. Everyone from grandmothers to nephews has Apple products, mostly because they’re just so popular. Apple products have also dominated the tech world globally. According to “The World’s Most Valuable Brand” article in Forbes magazine, Apple is ranked at number 1. Apple’s market cap is at $741.8 Billion. Apple products are easy to use. Apple stays ahead of its components and is plastered all over our tv screens with ads to the fact that we can not ignore it. Also you can not forget the impact it has on this generation. Having a few Apple products myself, I know how simple these products are to use. Apple reinvents their technology, Apple offers sleek and modern designs and new apps such as the find iPhone, tips, iBooks, Facetime, and even the the new music app–Apple Music that has albums and songs from all around the world that people can listen to for only $9.99 a month. There are ads everywhere of Apple, but even when they are not noticeable they carry a huge part in the media, such as the big deals with Dr. Dre buying Beats for $3 billion or having big mainstream artist like Drake, The Weeknd and Pharrell have their own radio station on Apple Music. This essentially a great way to market Apple. Apple seems like the better product because Apple keeps putting new products out taking away from their competitors like Samsung and Google. New iPhones come out every 6 months and even though it might be the same designs there are new features and always and new IOS updates to go with it. Our generation has over popularized the Apple products from using emojis and iMessage. Apple was the first company to ever have emojis. There is no stopping Apple. They are ahead of the game. Cnet Magazine says, “In March 2012, Apple had a little over 20 million iPhone owners in the US. Last March, that figure stood at about 70 million iPhone owners. At nearly 100 million, Apple has continued to grow its user base and consolidate its power in the US,” making hard for the public to erase their existence. Apple products have authorized a new and cool way for this generation to connect with each other with facetime and emojis and provided easy access to everything. This company takes technology to another level.